Here's a peek at some of the sketches I did for the Kennett collection. 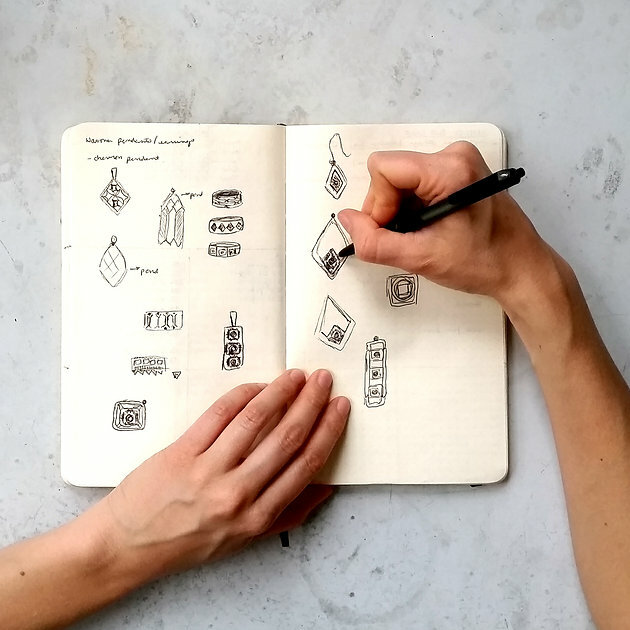 Although I make most of my jewelry using CAD, I always figure out the basic designs in my sketchbook first. I've been using a Moleskine notebook as a calendar, to-do list, and sketchbook for about three years. This is the only way I'm able to keep all my thoughts in one place! Basically, it's a very simplified Bullet Journal. Want to learn more about Bullet Journaling? Check out Boho Berry's blog!